If you’re like us, you enjoy a night on the town. But cutting loose can be a hassle. You’re out with friends and just wish you could have another drink or two but you don’t want to leave your car downtown. Well, now there’s an answer. 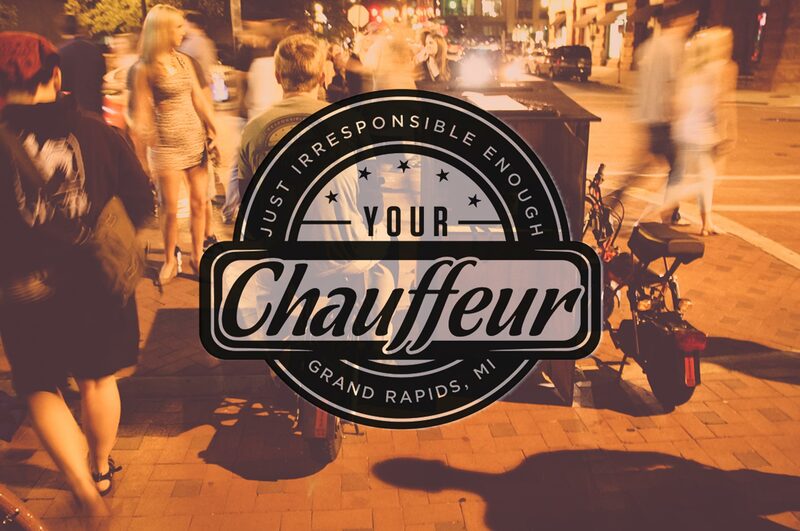 For a fee comparable to a taxi ride home, Your Chauffeur comes to you and drives you home in your own car. So, go down to the bar at happy hour, accidentally have a little too much fun, and still get home with your car in the driveway? Of course I’ll design a logo for that idea! Since I was between jobs, I was around a lot to watch him and help where I could. There were a lot of nights involving test drives, macbooks, video cameras, and PBR. Honestly, for how fun the concept was, I had to make sure to keep the logo, well, “fun”. I highly suggest you see this video or read this blog to really get more of that story in depth. The most difficult part happened, and Your Chauffeur received funding from Start Garden. Friends would get a chauffeur license from the state to help drive, and other friends would keep his number on speed dial to get themselves home. Through the summer, the business slowly took on some traction and really looked like it was the real deal! But as most businesses go, the overhead was too much to really get the wheels rolling. The scooters emptied the drawer, the maintenance was constant, and your sleep schedule is rotating around the 2am bar close every night. It really was one hell of an adventure.